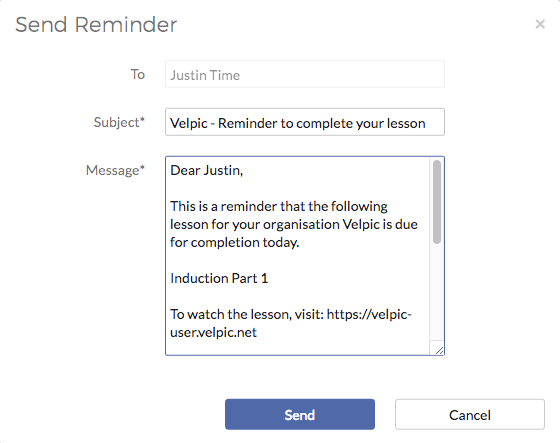 Administrators and supervisors have the ability to send reminder emails to trainees for lessons which are Due or Overdue. 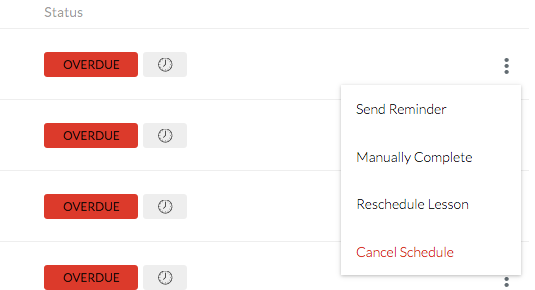 Lessons which are scheduled for a future date will not have the option of sending reminders. 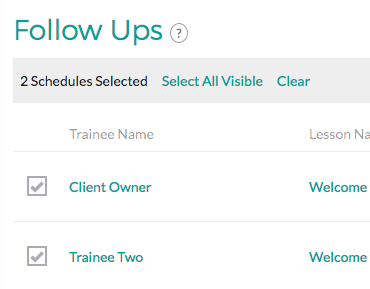 Reminders may be sent to just one trainee or multiple trainees at the same time. When sending a reminder email to a single trainee, the administrator can edit the email that will be sent to the trainee. The option to edit an email will not be available when the administrator decides to send multiple reminder emails at once. The administrator will have the option to search for different users, navigate between different pages, and could use filters to select trainees. Different options like "Select all visible" can be used to select all trainees displayed in the list. "Clear" could be used to unselect all the trainees selected.